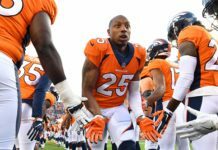 The Broncos executive vice president of football operations and general manager spoke with reporters ahead of the Mizel Institute 2017 Community Enrichment Award Dinner at Wings Over the Rockies Air & Space Museum, reassuring the group that his contract negotiation process is proceeding on schedule. On Wednesday, Elway received the Mizel Institute 2017 Community Enrichment Award in recognition of his more than three decades of community service in Colorado. 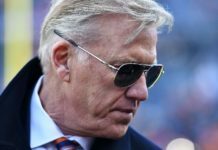 According to the organization, “Elway has been devoted to charitable causes in the Denver community since his rookie year. In 1987, he started the Elway Foundation, a nonprofit organization that assists in the prevention and treatment of child abuse. He is also involved with The Heroes Foundation, which was created to provide support and funding to America’s heroes and their families. Elway has supported the Buoniconti Fund to Cure Paralysis, Muhammad Ali Parkinson Center and Make-A-Wish Foundation, among others. Together with his wife, Paige, he has collaborated with the Barbara Davis Center for Childhood Diabetes and volunteered with the Boys and Girls Club of Metro Denver. Colorado Governor John Hickenlooper and Denver Mayor Michael B. Hancock served as masters of ceremonies at the dinner and presented Elway with special honors from the state and city. Elway was equally humbled to have members of the Bowlen family in attendance at the dinner. 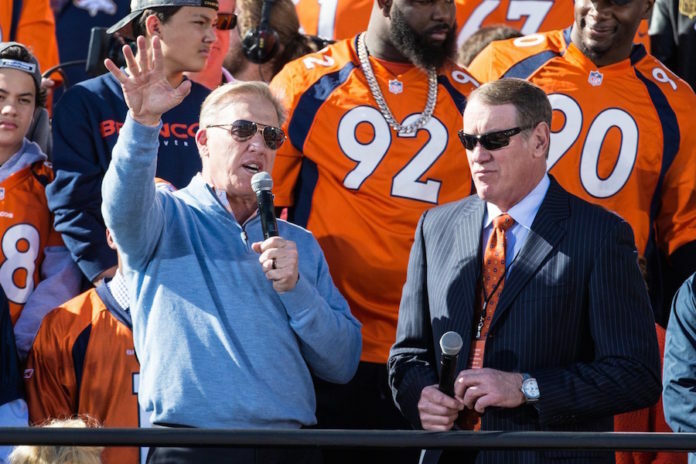 The Bowlen family and fans across Broncos Country are no doubt thrilled themselves that Elway intends to stay in Denver, the place he considers home.